News from Wee Sweetie HQ Dumfries! 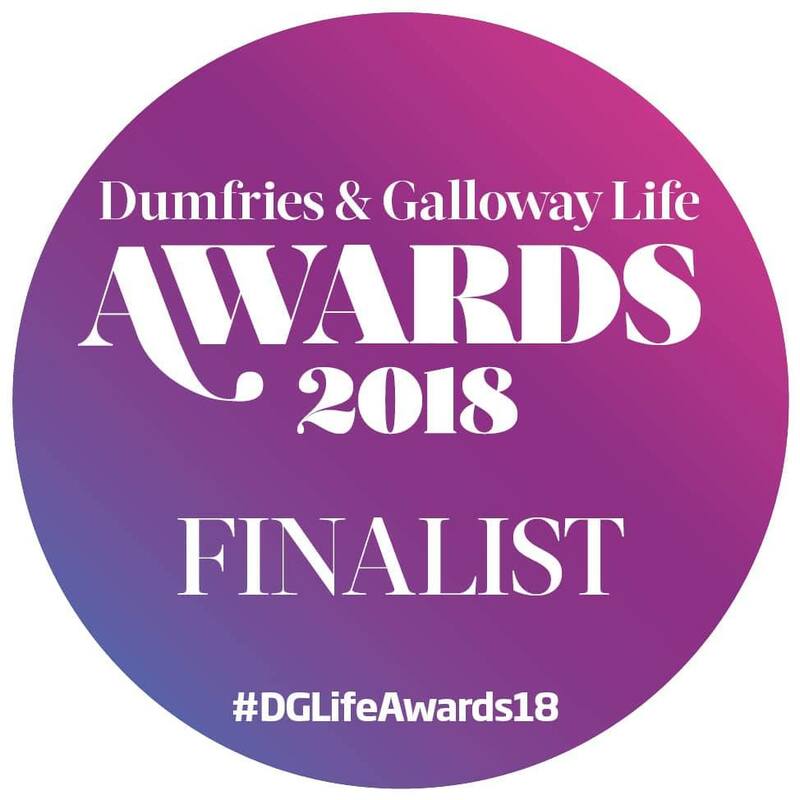 Wee Sweetie continues to collect awards for its range of handcrafted sweetie products, including second place in the Producer of the Year category of the Dumfries & Galloway Life Awards 2018. 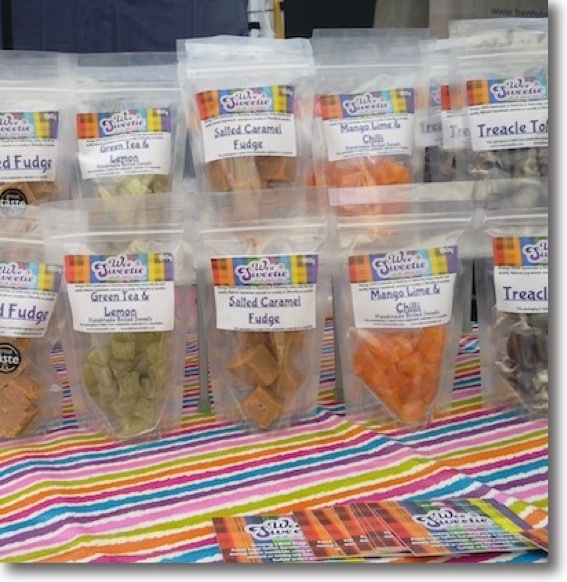 "Donna Bradley launched her business in Dumfries in March 2014, making a range of traditional boiled sweets, fudges and toffees from her kitchen at home. The sweeties are all hand-made, often using locally sourced ingredients and Donna has won prestigious Great Taste Awards for her Naked Fudge, Honey Fudge and Sarsaparilla boiled sweeties. 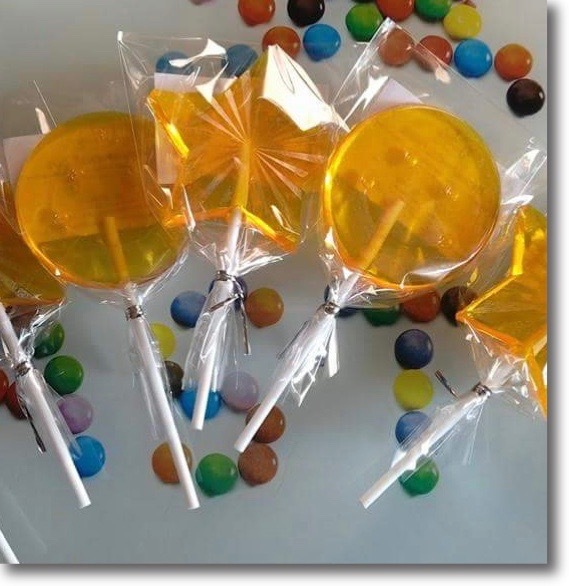 Her seasonal menus (for Easter, Hallowe’en and Christmas) are always eagerly anticipated by sweetie fans. Donna has worked hard to build up her business and offer great customer service. Donna has also spent time helping refugees in Athens, including teaching some youngsters to make sweeties." August 2017: Welcome to my new website. I hope you like it! I'll be adding details of my latest sweetie creations here regularly, so please bookmark me and keep checking what's new. The website also gives information on how to order along with regular news updates from the Wee Sweetie HQ! July 2016: Wee Sweetie Confectionery Creations has won the Guild of Fine Food 2016 Great Taste Awards. Wee Sweetie Naked Fudge was the only fudge in Scotland to win 2 Stars. 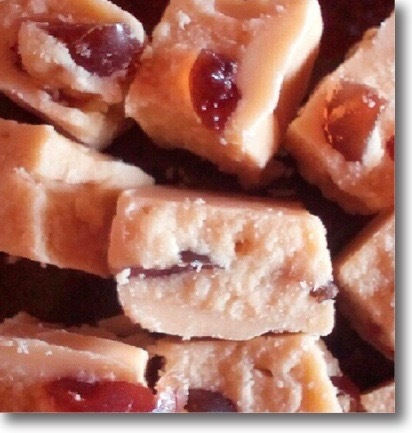 The judges comments were: "Proper, traditional, not-mucked-about-with, as-it-should-be, delicious fudge! 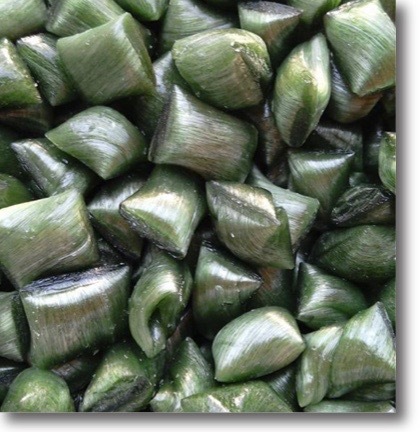 In a world of matcha and salted caramel, it is a treat to taste something that relies on the quality of the raw ingredients. Simple ingredients cooked well! We could have eaten a lot more. Well done!" April 2016: A fab new stockist in Castle Douglas has come on board. Inhouse Chocolates have a selection, including some exclusive flavours of fudge and boiled sweets as well as covering my Proper Toffee with their gorgeous chocolate! May 2016: May has seen not one, but two, boiled sweetie workshops which have been lots of fun and there will be more to come. Please get in touch if you'd like to attend one and I'll add you to the list. My Rascally Liquor Fudge continues to be incredibly popular at Annandale Distillery.